Anne Rios obtained her PhD in 2011. Her work represented a novel cell signaling mechanism that triggers the differentiation of a defined subset of cells within a stem pool (Nature, 2011). She then joined the laboratory of Professor Visvader focusing on Breast Cancer. A researcher at the Walter and Eliza Hall Institute (WEHI) in Melbourne, she was awarded the Neil Lawrence prize at the 2016 Centenary Institute Medical Innovation Awards for her project entitled ‘A journey into the unexpected: A 3D view of breast cancer’ which represented her post-doctoral work (Nature, 2014). She has developed a new 3D imaging technique that allows scientists to visualize entire breast tissues down to a single-cell level. 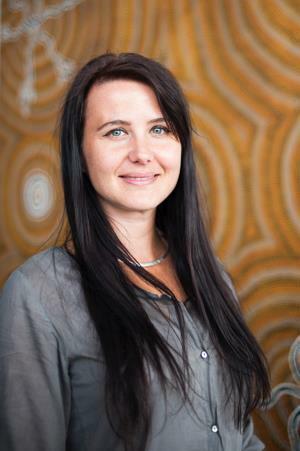 She is the only researcher in Australia – and one of the few in the world – to do this. In 2017, she was appointed group leader at the Princess Máxima Center and Head the Princess Máxima Imaging Centre. She is currently investigating the cellular mechanisms underlying pediatric solid tumor progression using State-of-the-art imaging technologies.